I’m getting my final packing for my holiday done today. Once the camper is packed and my bed in the back made up, I’ll be able to do the last bit of watering, feeding and harvesting of vegetables to take with me. Thereafter, I’ll be on the road. But I’ll be looking out for inspiration, ideas for my plot. I’ll be spotting wildlife (I hope) with my camera, my binoculars and my scope. With any luck, I’ll be able to keep you informed along the way. If I can’t get an internet connection, I’ll catch up with you when I get home. The camera battery is fully charged and I can’t wait to get out there and take some great shots. I’m after wildlife, flowers, insects etc. I’m learning as I go and every shot of a creature helps me identify them, and in some instances add to general knowledge by including them in the various surveys being done by researchers. You could, too. Home And Studio For The Next Couple Of Weeks. I’ve found some very interesting areas to survey, and we can all take part. Children would love to join in. Springwatch made the point that all you have to do is show a child a bug and they are instantly interested and fascinated by it. They want to know more. Why not help them learn by looking up the bug? Then add it to a survey, and further conservation efforts, becoming part of the solution. Here’s a list of links you can check out for yourself. Buglife are looking for a rare beetle, an Oak aphid and more. Their site also offers links to other key wildlife surveys. 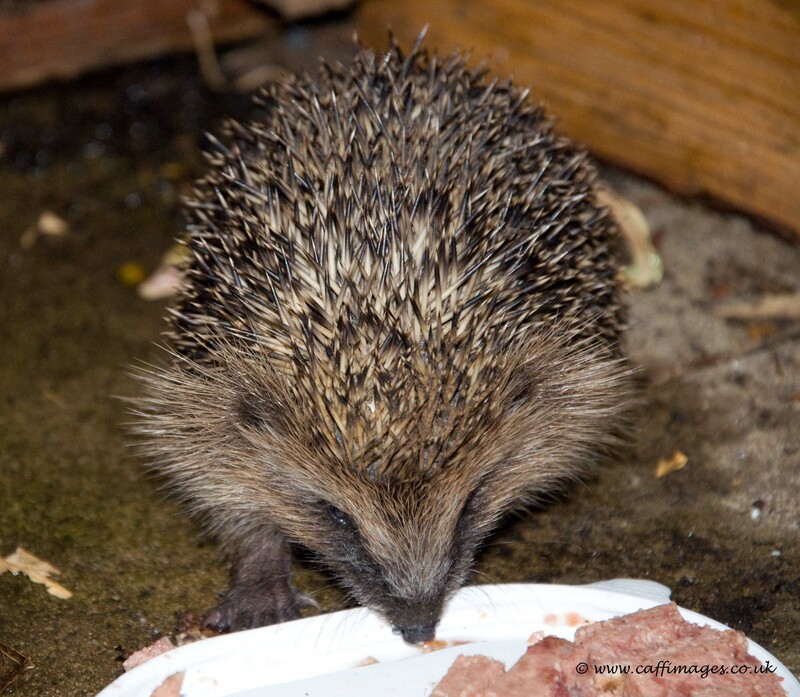 Suffolk Wildlife Trust need you to record with them hedgehog sitings, anywhere in the UK. Hedgehogs are in big trouble. You’ll also find on this site information about how to help them. Their numbers have dropped considerably, but they’re a great garden friend, so this is one creature we should all be trying to help. Also, The Guardian have published a useful list of links to various surveys and ways to get involved with conservation and wildlife. It was published last year but the links are still relevant. Natures Spot is loaded with information, including great identification photos for insects, tree, birds mammals and anything else you want to find out more about. I have a photo of a fly I’m still trying to ID. It settled on ragwort, as many insects do. It’s a nectar rich plant! Do you know what the fly is? 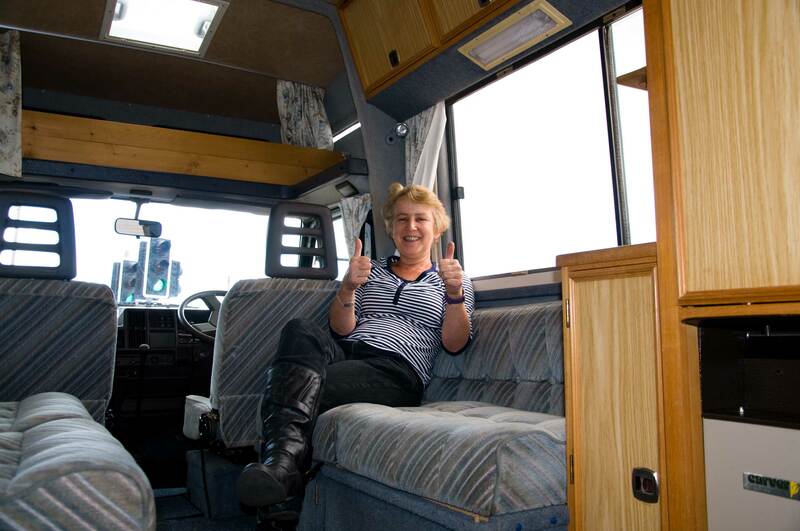 The photo’s at the end of this blog. One of the friends I’m going to see is working hard on his new plot of land to create as close to sustainable living for himself as possible. I’m dying to see what he’s up to. He’s on the edge of Dartmoor and has very different circumstances and problems to deal with, including rabbits and deer. I’ll let you know what solutions he’s finding. I’ll spend a lot of this holiday taking photos. My interests happily co-exist. Gardening, wildlife, photography all come together for me now. After a lifetime of following them as separate activities, I now combine them all. The photography gives me a way to pass on my experience via my blogs, a chance to identify species that won’t hang around while I get the books out, or a plant I want to ID when I get home, without picking it. It’s also part of my income via iStock, where most of my photos are flower or insect photographs, many of them macro. I love to peer into the tiny world I can’t see with the naked eye. There is beauty in macro form! It’s amazing what can be seen through a macro lens or magnifying glass. That hedgerow or leaf can reveal some amazing detail. 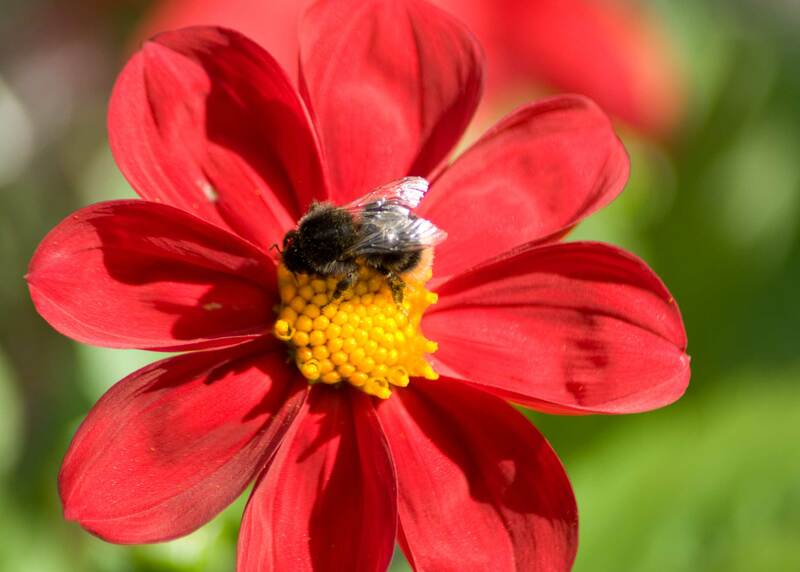 Bees dusted in pollen, tiny beetles you didn’t know were there. Stamens on flowers show their shape and form. It’s a whole other world from the one we live in most of the time. The gardening itself provides the material to photo, the space for wildlife to come to, so more things to photo and food for the table! 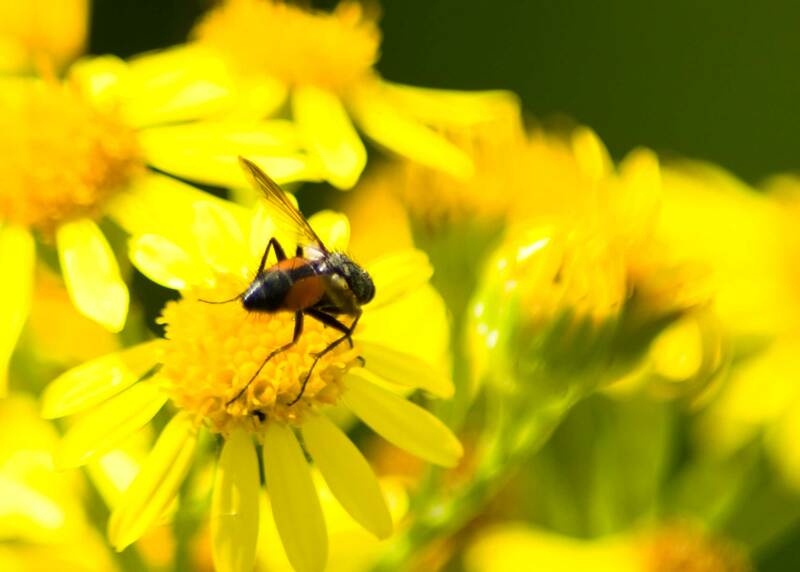 Unidentified Fly Visitor On Ragwort Flower. Can you help with an ID? I’ve had the odd meadow brown, the odd cabbage white (not quite so welcome) and a couple of small tortoishells, and have scanned the borders every day to see what would come to feed. In my last post I shared my frustration at planting so many nectar flowers this year, using the maxim ‘build it and they will come’, but they didn’t. However, today, TWO peackock butterflies inside five minutes turned up on my flowers. Hooray! Numbers this year must be way down, though, for me not to have at least the buddleia covered in the different species we normally see. The bees, however, are intriguing. I’ve seen new (to me) species of bees I can’t identify, and have a leaf cutter bee nesting in a trough on the patio. Even honey bees are in evidence. 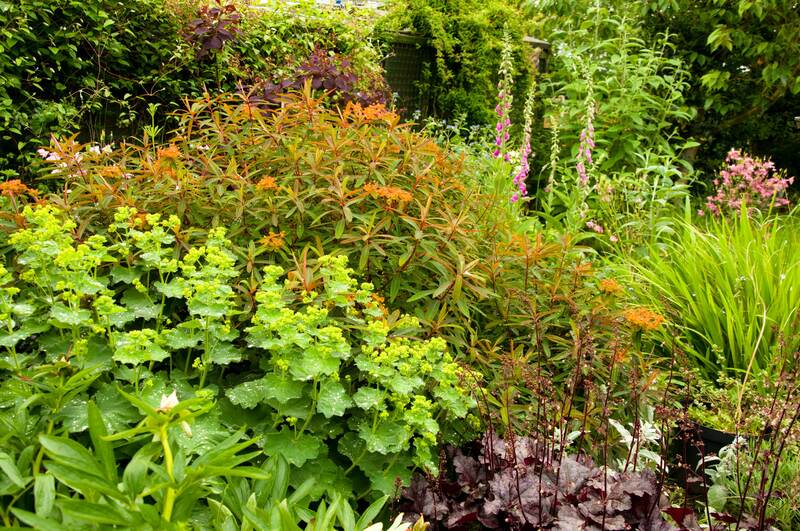 The bergamot, calendulas, cosmos and sedums and of course verbena bonariensis seem to be bring them in. We also have plenty of hoverflies and other insects, so hopefully the butterflies that are around will feed and breed, raising numbers for next year. Moths also seem to be coming in, judging by what I can see when sat out in the dark with only background lighting from the conservatory. Something’s working then. I can also now list frogs, toads, lots of birds species and a visiting hedgehog, so slug numbers are way down on previous years, and I actually get to eat my lettuce! Just wait until I get my pond in there. Damselflies, dragonflies and newts may join us. One of my friends has grass snakes. I wish! There is a woodpile and compost bins at the end of the garden, so you never know. 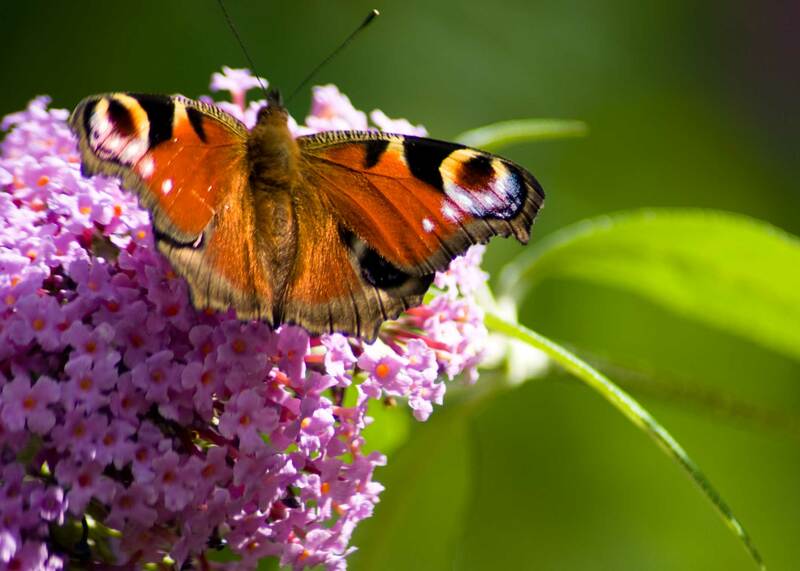 As butterflies and moths are in serious trouble due to wet summers and massive declines in natural habitat due to intensive farming and the loss of meadows, This year conservationists are appealing to us all to help. So, here are my favourite top ten butterfly plants, based on observation of the insect life in my garden. 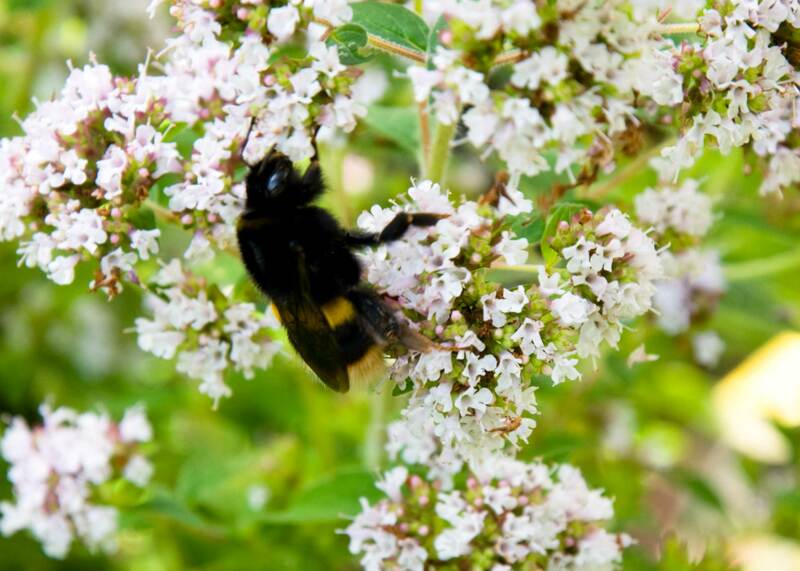 The best nectar plant anyone can grow is buddleia. They are now available in dwarf form for the patio, so you don’t need a large garden or space to grow one. If you have room, grow several together, giving the butterflies a better chance of seeing them and lots more food. Nettles. Yep, nettles. If you live near waste ground and there are plenty of nettles around, you probably don’t need to have a nettle patch, but it is the food plant for many species of butterfly larvae, so worth having. Hawthorn, which is the home and food plant for many moths. It gives them somewhere, too to pupate in peace. My hedge comprises mainly of hawthorn. 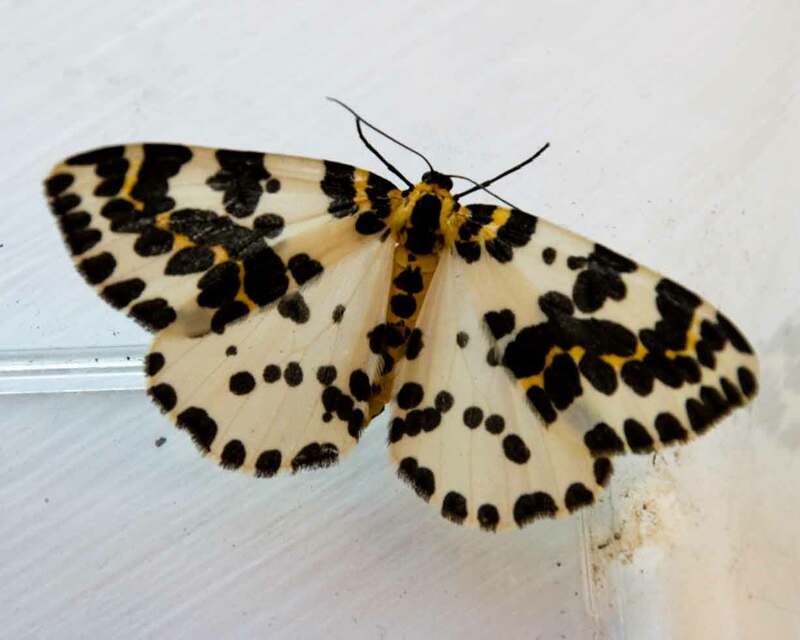 I see and am trying to identify lots of beautiful moths. 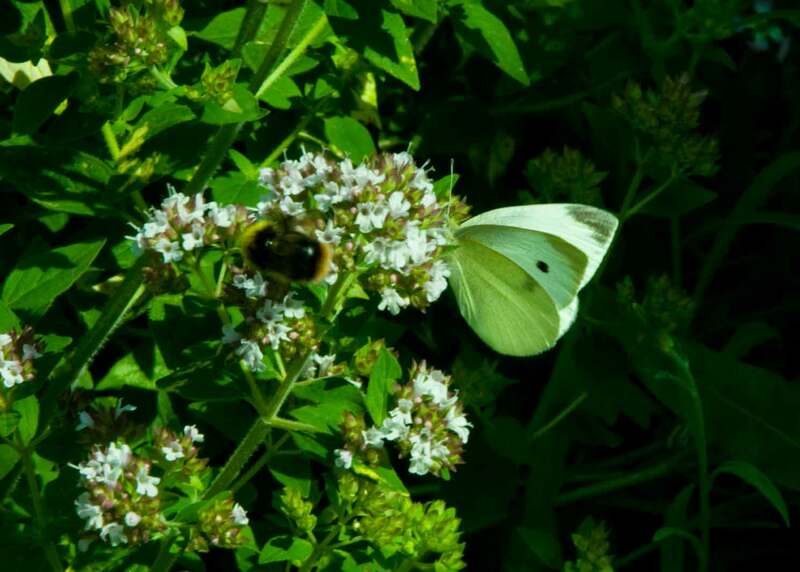 Marjoram and oregano. I went out this morning to find these have just come into flower, and are smothered in small white butterflies eagerly feeding. Allium. 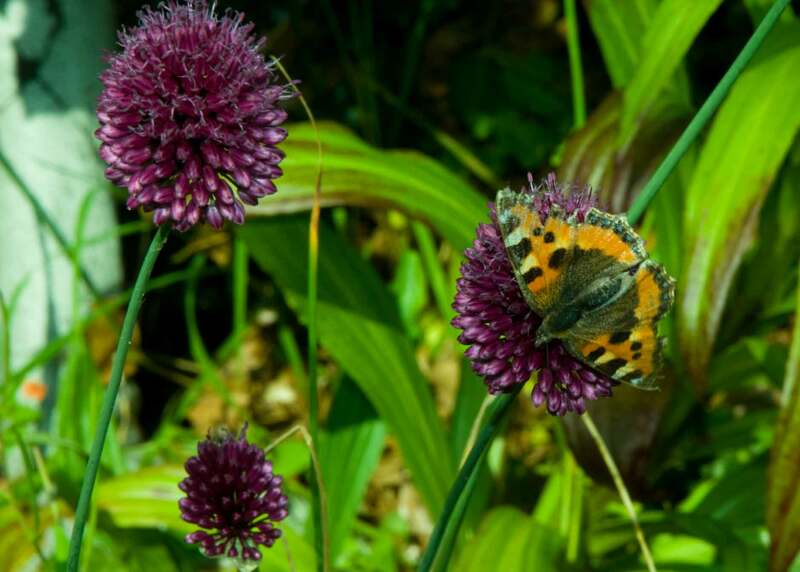 Our Small tortoiseshell is feeding on drumstick, but all the alliums I have seem to attract plenty of butterflies when they’re around. Bees adore them, too. They happily move from flower to flower gorging themselves. As they are easy bulbs to grow and suffer no pest problems that I’ve encountered you too could have some. They will increase their own numbers in time and take up little space as they can be planted among other plants, covering their bare legs. Sedums. These are great plants that need little attention as they are drought tolerant. Just give them full sun and good drainage. Many are perfect for pots and alpine troughs. 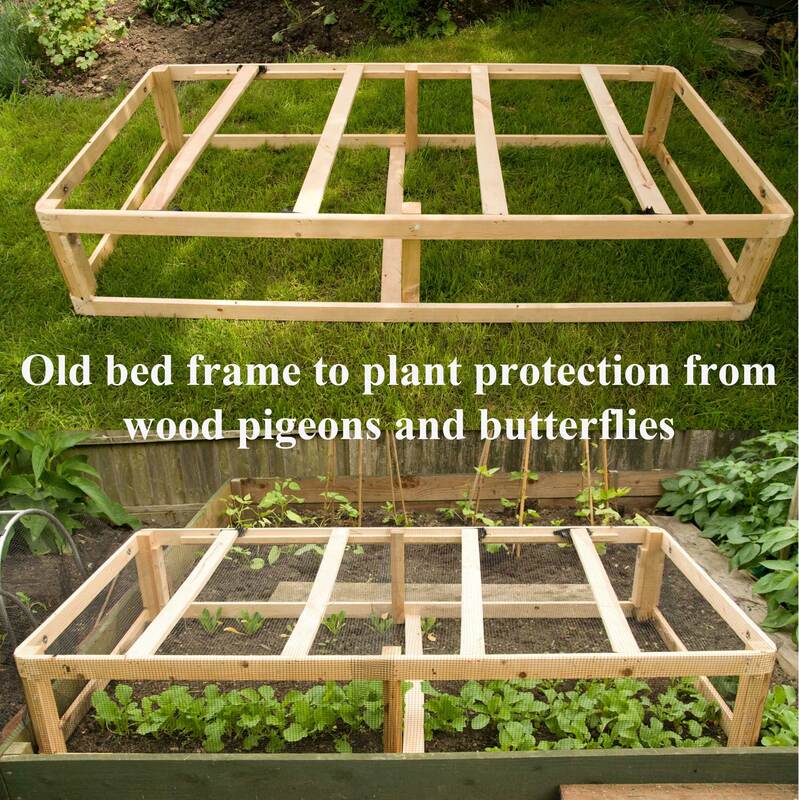 You can even grow them in a window box. The butterflies won’t mind! Cosmos. Easy annuals, bright and colourful, grow from seed or get young plug plants, often sold cheaply on your local market. Vetches. 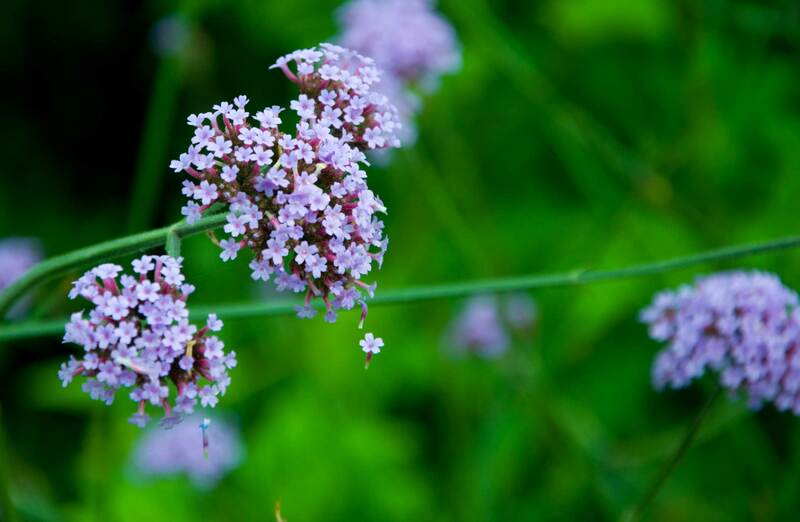 Native wild flowers that grow on verges and in hedgerows. Seed of many are now available through seed companies and young plants from specialist nurseries. They are food plants for larvae and adults. There is a lot more we can do. 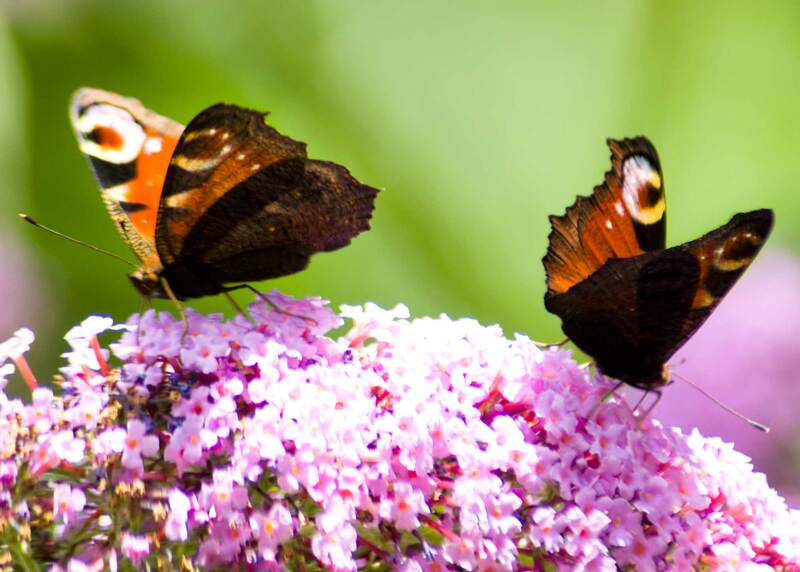 The BBC are running the Summer of Wildlife, where you can help increase the knowledge of scientists so they can further understand the needs of our precious butterflies. Their page How to Help Wildlife can start you off with all the information you need to join the growing crowd of people giving vital information to the scientists, plus TONS more information on how to help our declining wildlife in general. Their page Worrying Declines will tell you much more. What can you do to help? What have you planted or plan to grow? I’d love to hear from you. 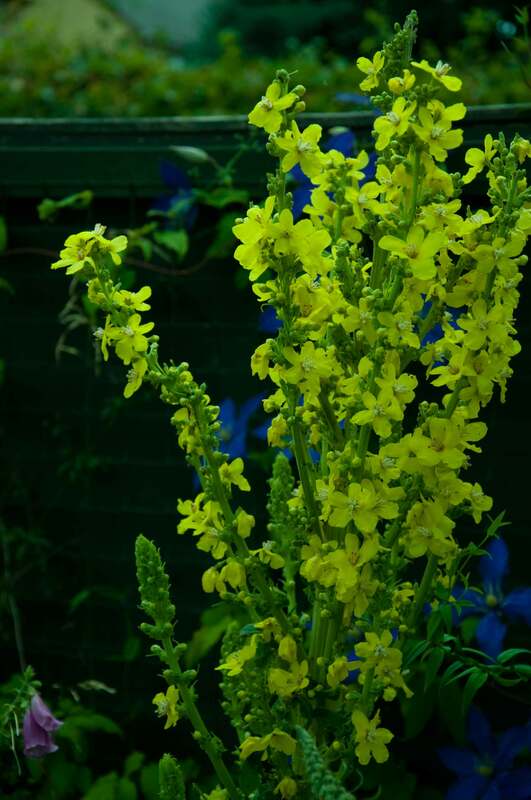 Last year, when I went to a specialist herb centre in the Cotswolds, I bought a mullein plant. The plant was new to me, but I understood it would be great for bees to feed on, so home it came. The rosette of woolly leaves grew steadily, despite all last year’s rain, then withstood the icy winter. Up it came this spring and produced flower spikes. When I looked closely, I found caterpillars were gorging on it. I decided to share the plant with them and left them there. 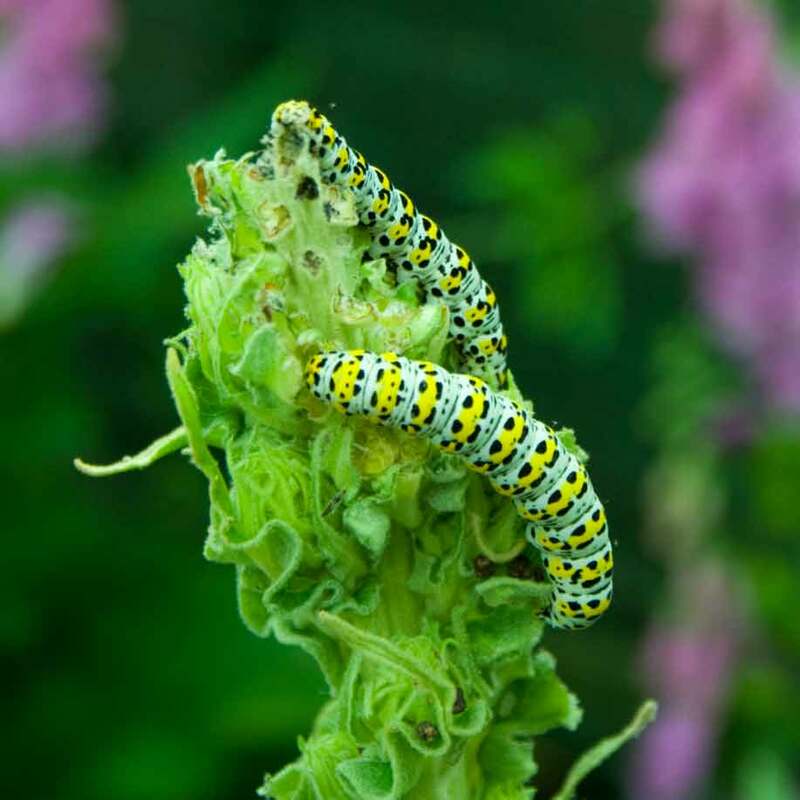 I discovered these pretty creatures were larvae of the mullein moth, which looks like a twig, and is no-where near as pretty as the juvenile form, but I don’t care. Diversity and keeping balance is what I’m about. I thought I was sacrificing the flower, but no. What a gorgeous display, and the bees can have their share now, too.